The field of robotics comes from living a revolution. For the first time, a robot could reach a speed of race superior to man. Named Cheetah robot-sprinter Usain Bolt has done better by exceeding the 45 km / h on a treadmill. Usain Bolt is the holder of the speed record at the Championships World Athletics Championships in Berlin in 2009. He reached a speed of 44.71 km / h on the 100m with a record time of 9.58 seconds. But the robot Cheetah was dethroned. Developed by U.S. company Boston Dynamics with the support of financial DARPA and on behalf of the Pentagon, the robot Cheetah and largely inspired by the performance of this animal has managed the feat of running to 45.54 km / h. At the moment, Cheetah has been tested on a treadmill and connected to a cable that allows it to maintain balance. 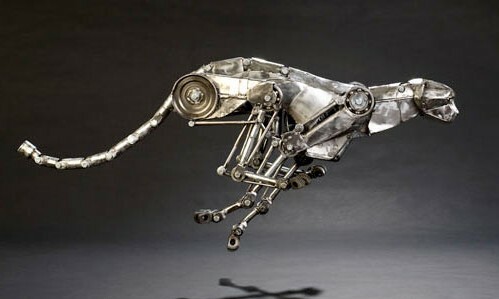 But the company Boston Dynamics plans soon test a new model of its robot, the Wildcat. This new prototype will evolved outdoors and completely independently. longer term, this robot sprinter will be used by the U.S. Army during military missions, such as the robot Alphadog LS3 .